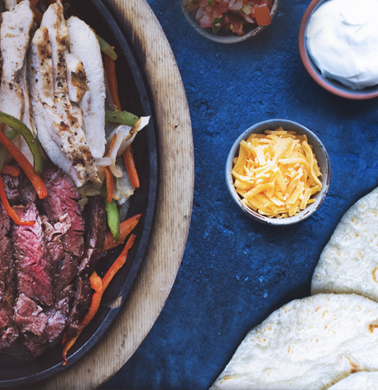 Enjoy a Texas inspired culinary experience for every craving. Choose from our well-aged hand-cut AAA steaks, fall-off-the-bone ribs, burgers and sandwiches or Texas favourites! 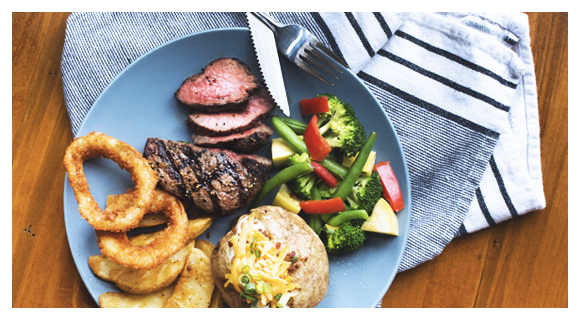 Our well-aged, hand-cut AAA steaks are house seasoned and brushed with ancho pepper garlic butter. 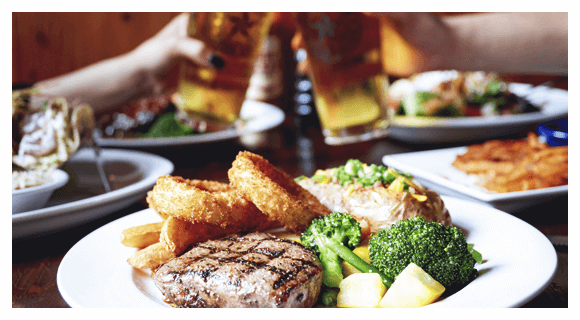 Topped with two thick-cut crispy onion rings, served with seasonal vegetables, a loaded baked potato and wedge fries. 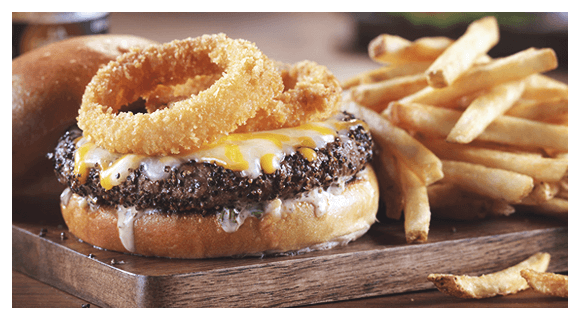 Aged 35 days and served with two thick-cut crispy onion ring, seasonal vegetables, wedge fries and choice of side. 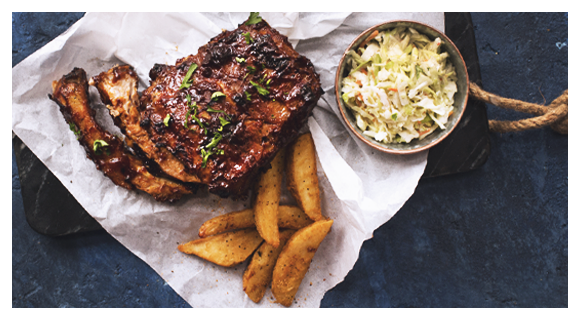 Mesquite-grilled, fall-off-the-bone ribs basted with your choice of one of our signature barbecue sauces; original, smoky chipotle tequila, bourbon BBQ or honey garlic sauce. Served with wedge fries and Texas slaw. Mesquite-grilled, fall-off-the-bone and basted with your choice of one of our signature barbecue sauces; original, smoky chipotle tequila, bourbon BBQ or honey garlic sauce. Served with our house-seasoned wedge fries and Texas slaw. Our premium beef burgers are Mesquite-grilled. All burgers and sandwiches are served on a toasted garlic bun and come with choice of side. 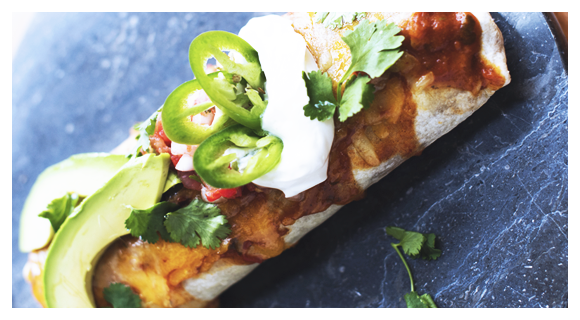 Experience our famous Tex-Mex Favourites!